With so many places to explore around Grounds, it’s no wonder some gems get overlooked. Here’s a guide to the places that really should get more credit and more use from you. Here at The Black Sheep, we don’t like to toot our own horn, but you’ll thank us for bringing these specific locations back into your life. 10.) The Game Room: Stop wasting this luxurious arcade space on the second floor of Newcomb on studying. Scare away all of the people reading and claim this space as your own. You complain and complain about being stressed out when there is a perfectly good pool table here to relieve you. Take out some of that aggression on the 8-ball and worry about your assignments later. 9.) Clark Library: Clark lives in the shadows of Alderman and Clemons; however, it has much more to offer than these wannabe libraries. Take a minute to examine the artwork that lines the corridors. The naked statuesque man could be the inspiration for your next A+. 8.) University Career Services: There are people willing to construct your resume for you. Most people don’t even know this organization exists. UCS is a group of people willing to take the blame for when you don’t get hired. You can tell your parents that you would have gotten the job if you’d just had a better scribe. 7.) N2GO: N2GO is Newcomb quality food, but at the speed of Double Swipe Dean from O-Hill. You can get a quick lunch without the wrath of the ponytail. Plus, you can get a good look at all of the athletes that come here for a quick lunch to suit their busy schedules. 6.) Greenberry’s: To all the brand whores, Greenberry’s taste the same as Starbucks and is much more convenient. That is, unless you live in Nau with Starbucks right downstairs. That’s getting technical, though. 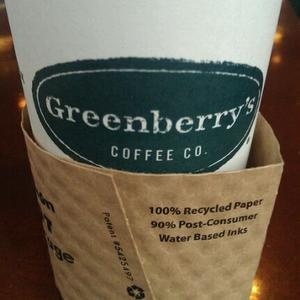 Greenberry’s is much more widely available around Grounds, so don’t make yourself late by trying to go to The Corner for coffee before class. 5.) Undergrad Dorms: Although it’s for a price, the dorms are all-inclusive. You don’t have to stress about collecting a check from all your roommates, or getting charged with late fees. Plus, Crossroads and The Castle are right next door to your fully-furnished abode, so you can make the freshman 15 the freshman-whatever-your-heart-desires. 4.) The Pie Guy: The poor pie guy just doesn’t stand a chance against the dumpling cart. His homemade pie selection outnumbers the dumplings, yet his line never wraps around the amphitheater. Join the people that cannot persist through the dumpling line. We promise his pies are not anything related to Sweeney Todd. 3.) North Grounds Gym: The AFC is completely overrated and full of first years. Make your way down to the gym on North Grounds to hang out with all of the athletes. You may feel utterly inferior to their workout regimes, but let the shame fuel your 8-minute elliptical and abs routine. If you’re looking for a more in-depth analysis on the different gyms around Grounds, feel free to take a look here. 2.) Two Guys Tacos: With Chipotle close by, Two Guys Tacos struggles to keep its name circulating. Stand out from the #whitegirlwednesday posts with pictures of burrito bowls. If it wasn’t good, then they wouldn’t sell it at baseball games. Plus when you’re stumbling home at night, Two Guys is much closer than Chipotle. 1.) The Amphitheater: With a location close to the Lawn, the Amphitheater sits begging for attention. People buy their dumplings and keep right on walking to take a seat on the luscious green grass. All the amphitheater gets is the reject protesters of the world, and it deserves better. Grab a book and get to sunbathing. Like this article? Be sure to follow us on Twitter @BlackSheep_UVa!